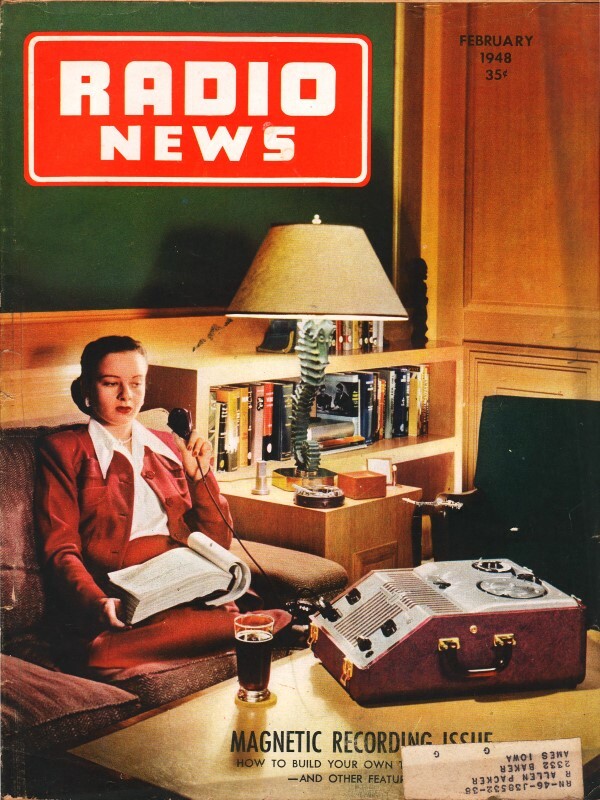 There is not much chance you will see an advertisement from Espey Manufacturing & Electronics now like this one from a 1948 issue of Radio News magazine. Espey is still in the business of defense electronics, but their advertising / public relations group would be hauled into court if they produced copy like that today. In fact, I hope as a result of my bringing up the subject that some overly sensitive snowflake won't try to sue them for past offenses. Does this documented instance of former official company policy suffice as legal proof of a corporate history of sexism and exploitation in our current litigious atmosphere? You could probably lose your job just by having this page open on your lab bench in view of one of the aforementioned extremist types. Is that the sound of ambulance-chasing lawyers scratching notes on their yellow legal pads that I hear in the background? That compact ­ well-proportioned - design! Yessir! In producing the ESPEY Custom-Built Chassis we have in mind the need for full, well-rounded design, moulded to meet the needs of a discriminating market. The Model 7-B is only one of the quality line of custom-built receiver chassis produced by ESPEY. It is carefully engineered and manufactured to give absolute satisfaction in any type of installation. The 7-B is an AM/FM superheterodyne receiver with 11 tubes including a rectifier tube, operating on 105/125 volts AC 50/60 cycle. Wired for phono operation this superbly engineered receiver, is supplied ready to operate with 10" PM speaker with Alnico No. 5 magnet, antennas and all necessary hardware. For further details about this - and the rest of the ESPEY line - write to Department A today. 528 East 72nd Street - New York 21, N.Y.